"As a musician and now pastor, I know the challenges of writing songs and sermons. 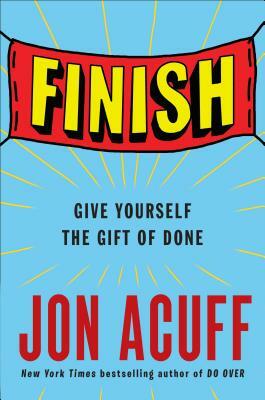 This book shows us all not only how to finish, but how to finish well. My friend Jon has a way of making the impossible seem practical." "The world is littered with half-finished books, almost started businesses and nearly done diets. Who knew the secret was to have more fun, kill the hidden rules you live by, and embrace imperfection? Jon Acuff did and you're about to as well."